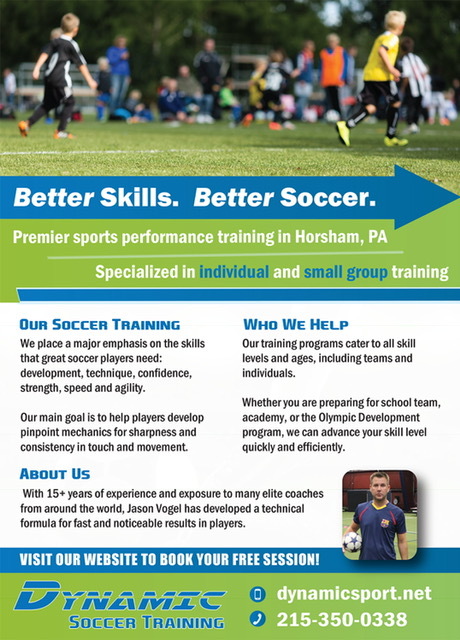 Interested in having your team or club offer professional soccer training that will improve your players to the next level. Then you should consider Dynamic Soccer Training. The Dynamic Soccer Formula is a proven technique of technical soccer skills training and has drastically improved many player skills. Thru years of exposure to many Elite coaches from around the world, Jason Vogel has developed a technical formula for fast and noticeable results in players. Dynamic Soccer Training is a blend of many cultures and styles with pinpoint mechanics for sharpness and consistency in touch and movement. The training technique itself has high European influence and builds a player from “the smallest of touches out” ultimately creating a well-rounded 360 degree and universal player with vision and creativity. Conditioning is built into the sessions with agility, speed, explosion and high aerobic “sets”, providing a realistic fatigue to game scenarios and execution of technique with consistency. Dynamic Soccer is highly recommended to be a CONSISTENT part of a training “lifestyle” both IN and OUT of season. Muscle activation and true physiological components are inherent to the formula and participation in a Dynamic Soccer class should be done at least 1-3 times per week for best results. Just like Free throw shooting a basketball over and over, hitting golf balls or practicing piano/instrument chords to stay sharp.